Public or product liability insurance covers compensation payments and legal expenses. Even when you do everything right there is always a chance of an accident happening. Public liability insurance and products liability insurance cover your business against legal costs and compensation payments resulting from injuries or property damage to your clients, contractors or members of the public that was caused by you or any of your employees. If you manufacture or distribute products you may also be liable under the Australian Consumer Law for any failure of those products.  JMD Ross can help you assess your risks and put the appropriate cover in place to protect your business.